Late in the winter when it’s still dark as all hell and even the mornings are murky darkness, one plant brings me such joy. Bursting with unseasonal vigour and vivid colour the Amaryllis bursts forth to show off it’s vibrant wares. 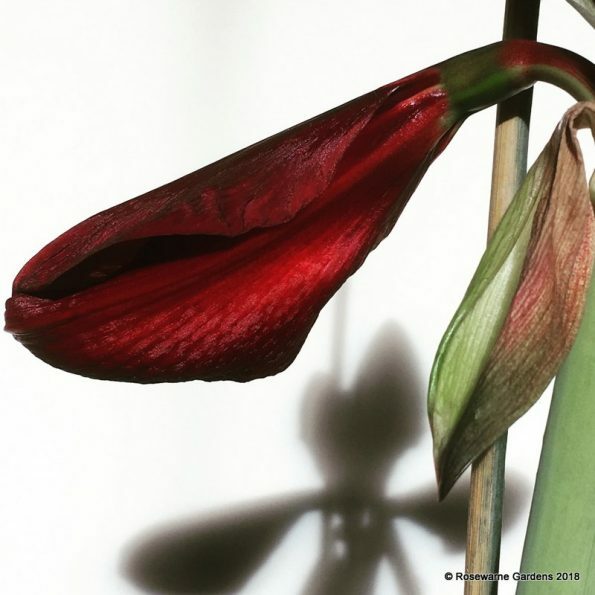 Hippeastrum originated in South America, a fairly large Genus of 90 species but having been made popular now has more than 600 cultivars and it’s not hard to see why it has become a firm favorite in the Northern hemisphere winters. 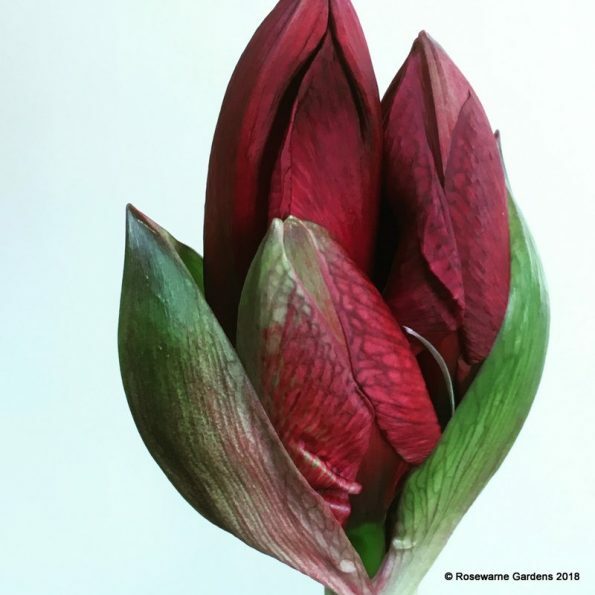 They generally have large fleshy bulbs, fat juicy roots and tall broad rich green, often evergreen leaves, though mine tends to shed it’s leaves just before flowering only to regrow them once the flower stem is erect. The thick but hollow stem is strong and supports up to 15 blooms from one flowering though this is rare more likley are 3 or 4 blooms per stem. Mine regularly puts up two stems and 3 flowers on each. 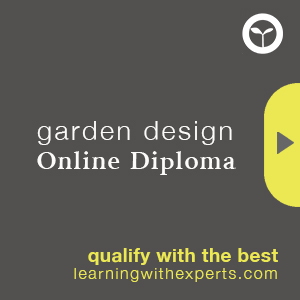 As with any bulbous planting feeding and nurturing make all the difference to the quality and number of fowers. Being tropical/ sub tropical plants by nature, in temperate climes they can do quite well given the right care and attention. Mine go out side for the summer coming in only just before the first frosts (October-ish aroundhere). If you have been lucky enough to be given one for Christmas here is how you can grow it on and have it flowering for years to come. When it’s flowering it likes a rather cool location, out of direct sunlight but still quite bright. I have found direct sun makes the flowers fade and go over more quickly. A north facing bathroom is ideal, even east facing (northern Hemisphere here). Keep it barely moist, water from the bottom. Once the flowers go over cut the flower stalks to about 2.5cm above the bulbs (1 inch), sharp knife or secatuers, no straggly bits please. Leave the leaves in tact, these are the flower producing engine that will build reserves in you bulbs for next years flowers…see how precious they are! 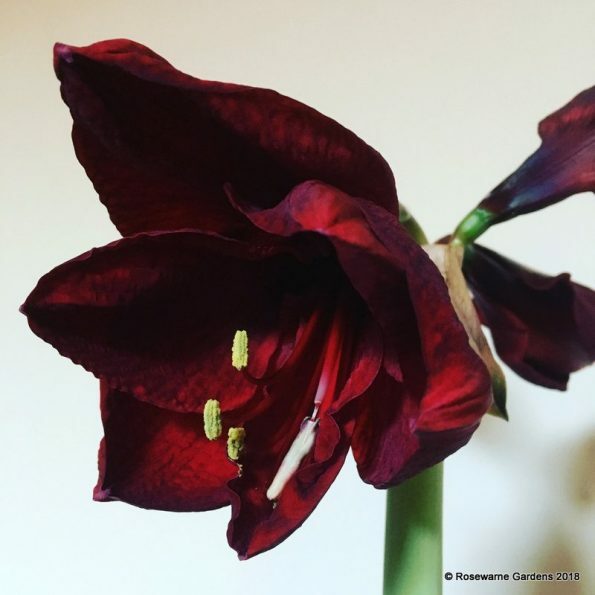 Winter is the time when our Amaryllis is in full growth the main objective is to bulk up the bulb and this is done via the leaves and leaf production. At this time of year you cannot give it too much light so now is the time to move it to that South facing sunny windowsill or balmy conservatory. Once spring arrives begin to feed your plant once a month with a general purpose (NPK 7-7-7) liquid feed neer allowing the soil to dry out completely. Once all risk of frost has passed (June!) the plant can go outside to summer quarters. It needs regular watering, daily in many cases. Moving it to a more exposed location may cause a few leaves to die off this is normal and more will grow. Keep feeding every two weeks now, you can always substitute a slow release fertiliser for this regime but do read the instructions for dosage. You can force the Amaryllis into a slightly earlier flowering (Christmas), naturally they flower mid to late Jan. This is done by beginning the dormant period sooner. Stop watering/feeding the plant in August, move the pots to a cool (13°C) shaded location, at this point they will start to shed leaves, perfectly normal for the dormant period. Keep the bulb on the dry side in your cool location, after about 6-8 weeks you should notice the tip of the new flower stalk emerging from the bulb. 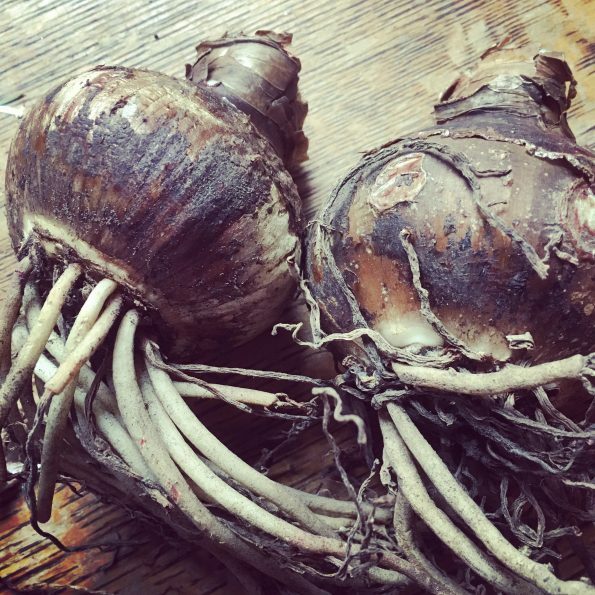 If you want to re-pot now is the time, wash off all soils and re-pot with at least 1/3rd of the bulb above the soil, pots should not be more than twice the size (diameter) of the bulb. Water the plant from below and bring into a warm bright location to stimulate root growth. Once the first flower has opened then move your plant to you cooler more indirect light location. It sounds a bit labour intensive but once you get the cycle going they really look after themselves. If you find tiny side bulbs when re-potting you can break them off and pot them on too, they will take 3/4 years to get large enough to flower but it is a fun way to increase you stock of fabulous Amyrillis flowers.